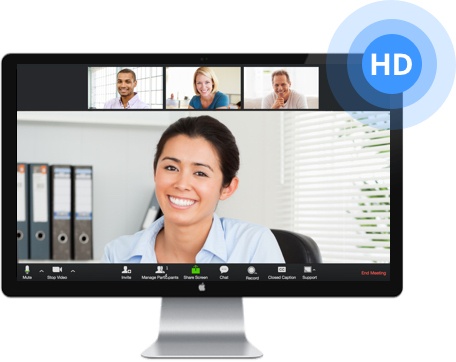 Zoom is a web-conferencing system that meets a variety of synchronous collaboration needs such as meetings, webinars and hybrid learning spaces. View Zoom's Getting Started page for more information about the capabilities of the system. If you would like some more information on good practices for web-conferencing, you may download the UMOnline Web-conferencing guidelines. Click the “Login” button in the upper right of the screen. At our SSO (NetID) login page, enter your NetID and password to log into Zoom. Next, you will route to your Zoom profile. If you already haven’t done it, now would be a good time to look at the Getting Started page above! From your profile page, scroll to the bottom of the page and click the “Download client” button. And that’s it! You are now ready to host meetings with Zoom. Look through Zoom’s extensive support site at zoom.us/support. Visit the Solutions Center to view the latest information on Zoom. Call the IT Help Desk at (406) 243-4357 or email ithelpdesk@umontana.edu. The recommended browsers for Zoom are Chrome or Firefox. Additional information can be found by reviewing the Features Documentation. For help with your Zoom session, please view the Zoom tutorials page or contact Scott Christensen at (406) 243-5322 or scott.christensen@umontana.edu. To request a training session or IT Short Course, contact Marlene Zentz at (406) 243-6434 or marlene.zentz@umontana.edu.